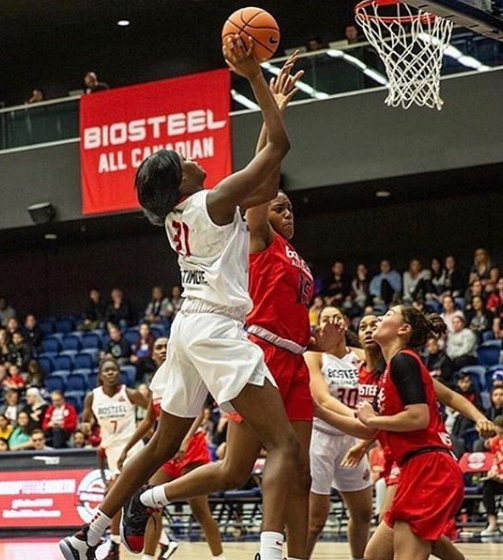 This past weekend 8 Crestwood students were invited to participate at the Biosteel All-Canadian High School Basketball games. 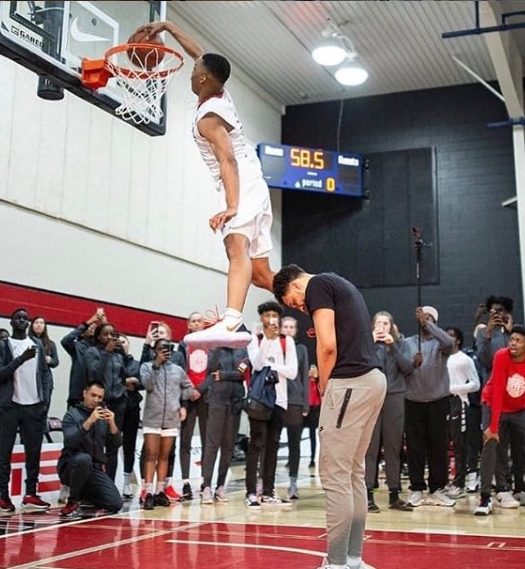 It was a weekend of showcasing skills with the best high school players all across Canada. 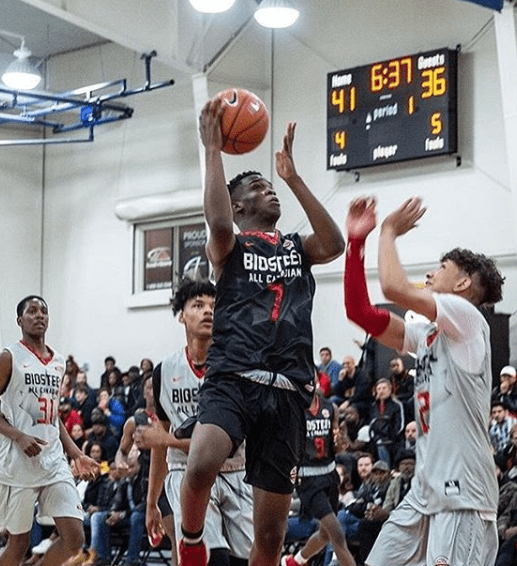 On Saturday both Elijah Fisher and Immanuel Oludele were selected to play in the Future Stars game which displayed the talents of up and rising high school players. 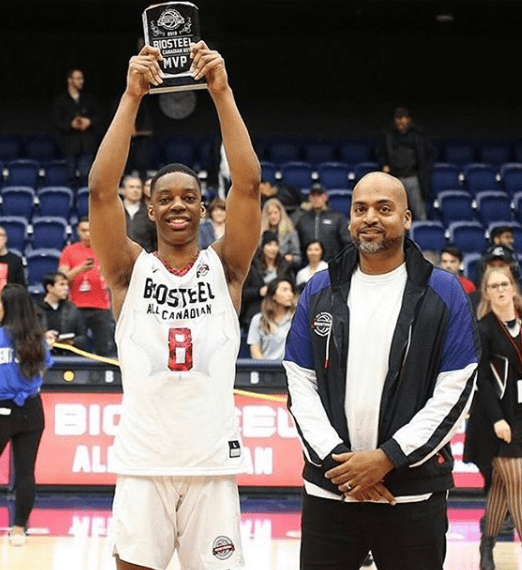 Both players had fantastic games and Elijah Fisher was selected as the MVP of the game. 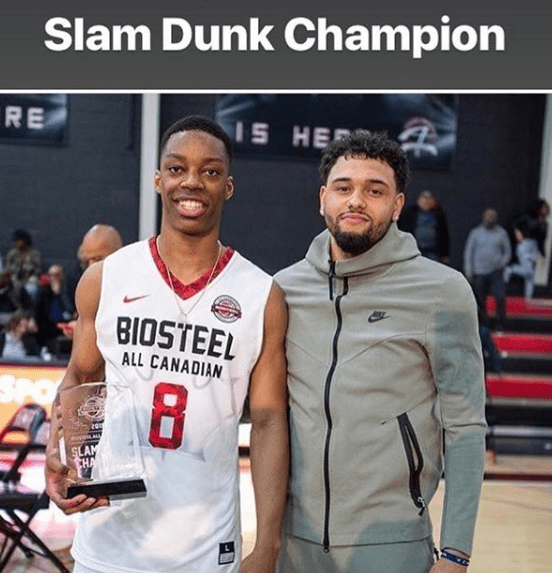 Also on Saturday was the skills competition, and Jahcobi Neath brought the house down with some amazing dunks – he was crowned the champion of the slam dunk competition – you may have seen his dunk as the Highlight of the Night on TSN. 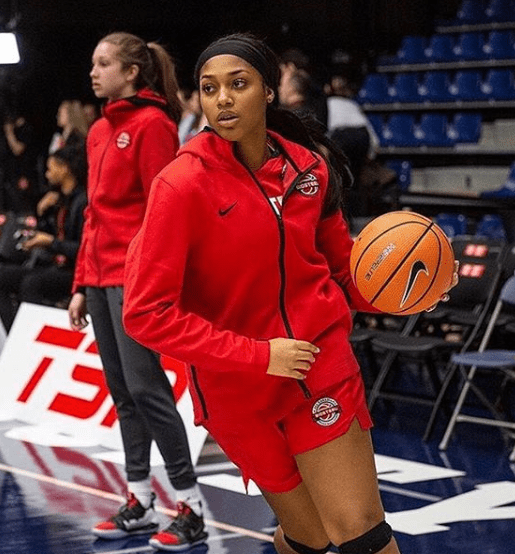 Sunday was the male and female All-Star game. 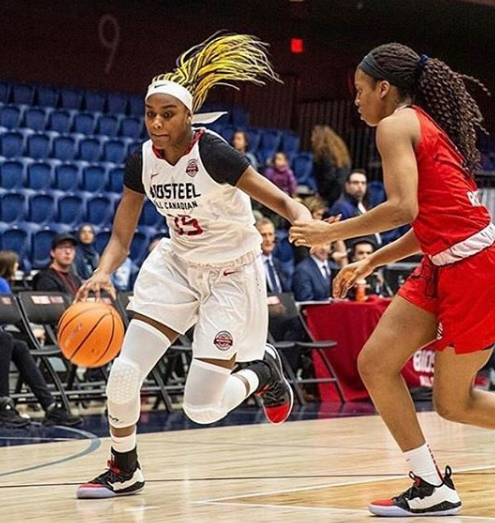 Crestwood was the strongest represented high school in all of Canada. 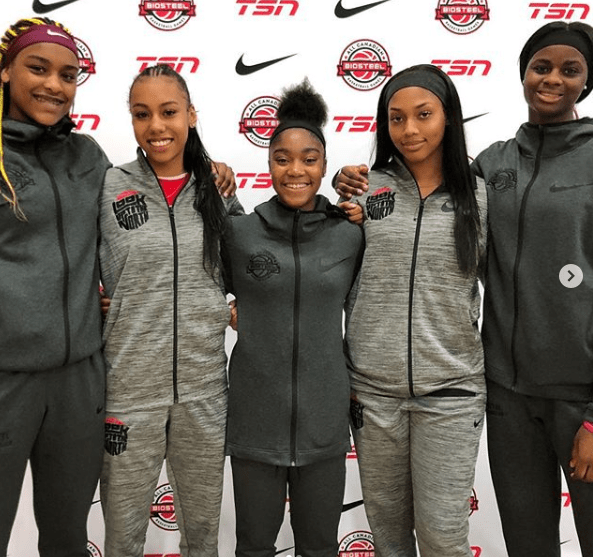 In the Girls game – Shayeann Day-Wilson, Rebecca Demeke, Kayla Drummond, Aaliyah Edwards and Latasha Lattimore were all selected to play. Jahcobi Neath represented Crestwood in the boys game. 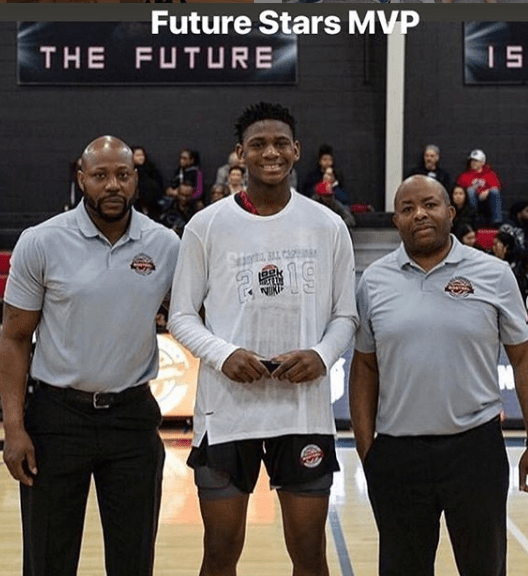 Jahcobi was also selected as the game MVP for his team. Congratulations to everyone who competed this past weekend and made Crestwood proud.